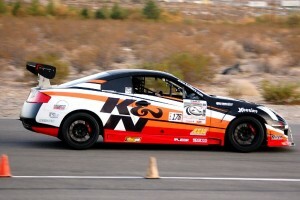 While finding a racecar sponsor is easier if you’re more well-known, getting notoriety without a sponsor is difficult. Yes, it certainly is ironic. Therefore, you must find ways to increase your visibility. For example, instead of waiting for someone to request your presence at, say, a grand opening, find out where one is already scheduled, then call the business owner and offer to show up with your car. You can even suggest a raffle, in which the winner would get tickets to the track, or perhaps, even some pit passes. Just come up with whatever is viable in your situation. You can also do the same if, for instance, a local softball or Little League team is holding a fund-raiser. This will work for all kinds of teams, as well as for groups who are trying to raise money for schools, churches, charities, hospitals, etc. The list goes on. If you can find events that are getting media coverage, that’s all the better for you, as you may end up with your picture in the newspaper. Don’t worry about it if you don’t live in a large town. It’s okay to begin by being a big fish in a small pond; that’s how most famous people started out. However, if you really want to get noticed, and if it’s feasible for you, think about painting your regular car to look exactly like your racecar, numbers and all. Make it a street-legal version that you can take anywhere, including on cruises to the larger towns and cities in your region. Then, you’ll really start making a splash!